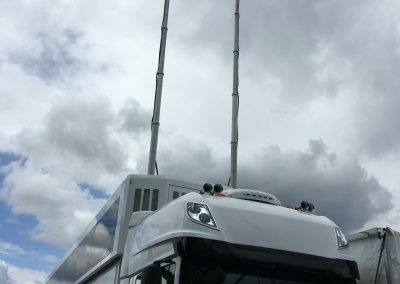 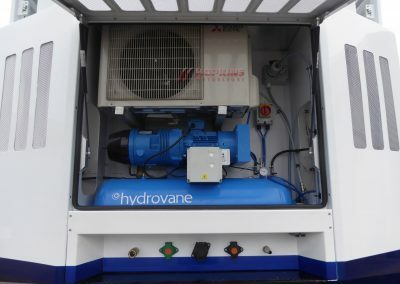 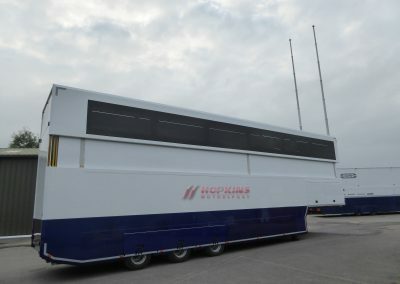 466 is the first pop up roof transporter we have manufactured from a complete automated 3d model, The design was based on the experience gained in build 328 and 300, although very similar in appearance approximately 90% of the design was new to reduce weight, build time and ease access for servicing. 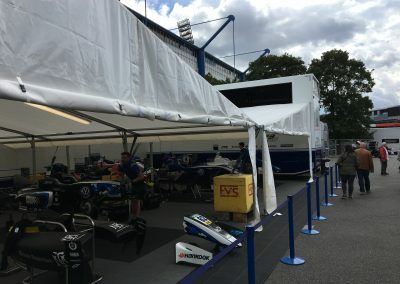 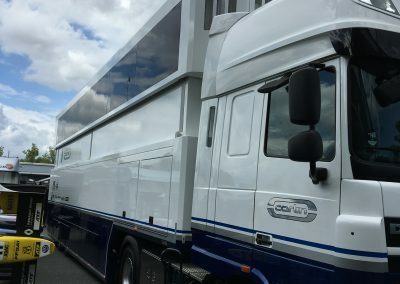 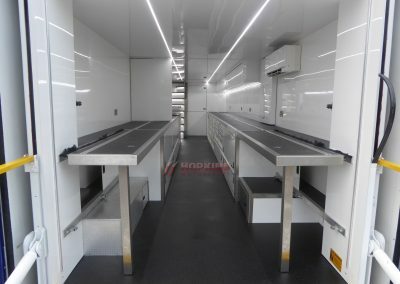 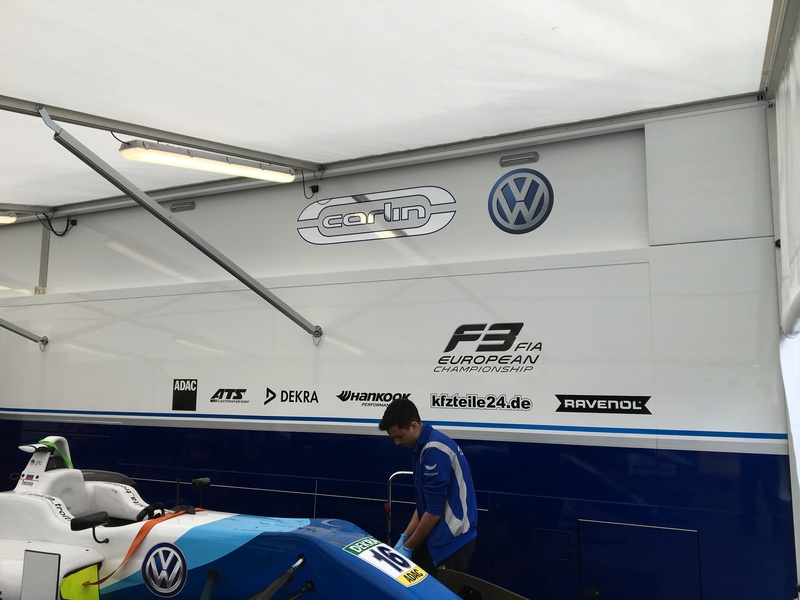 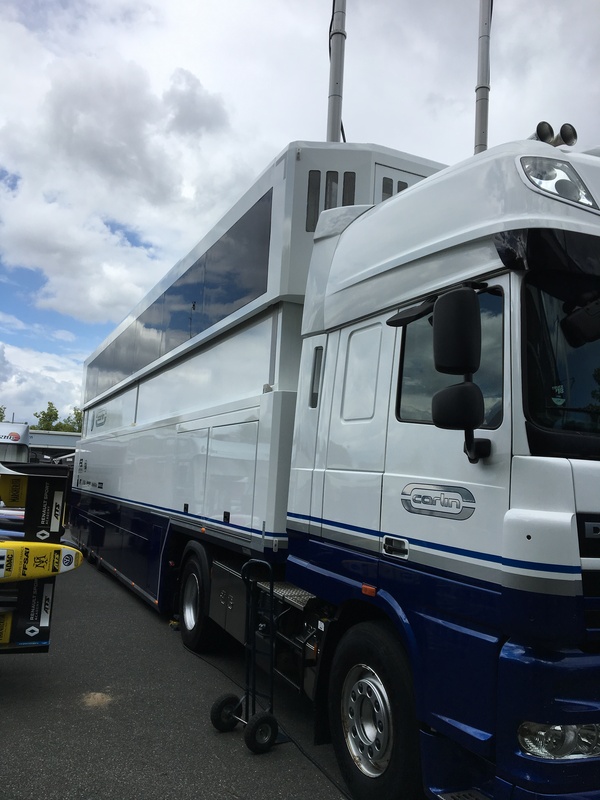 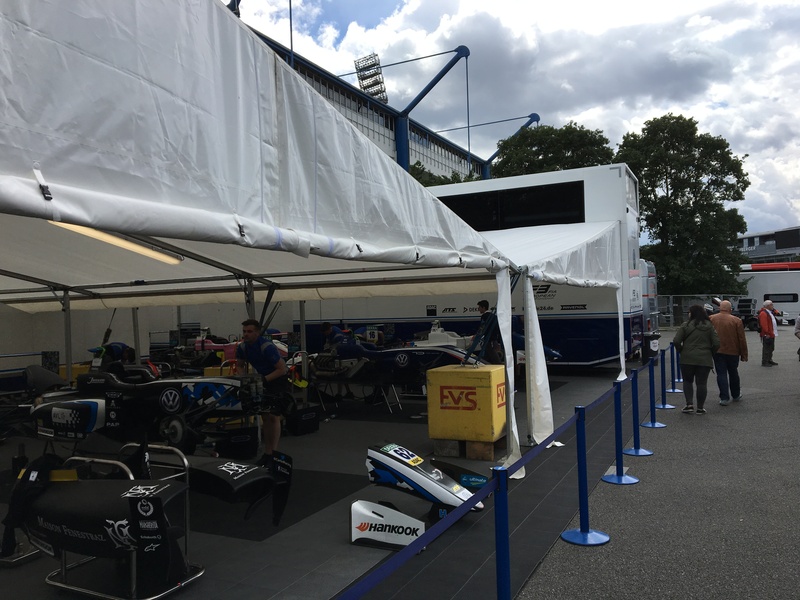 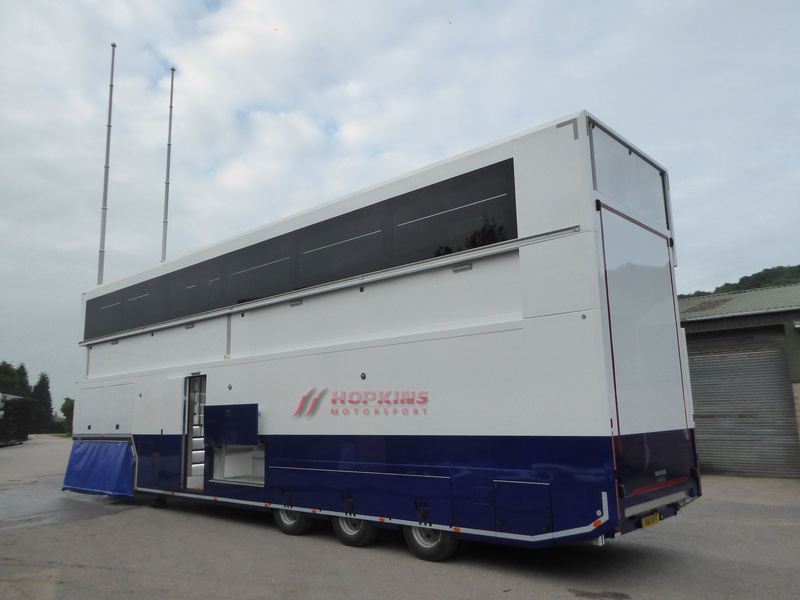 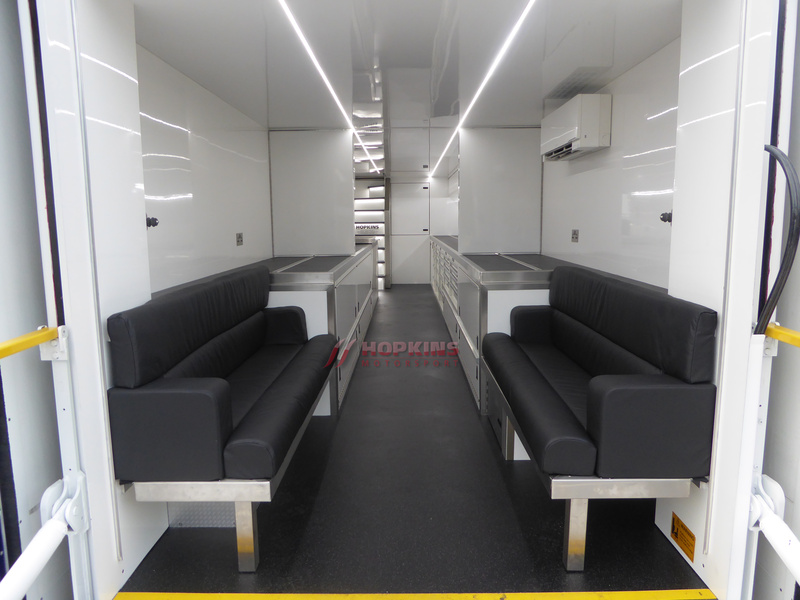 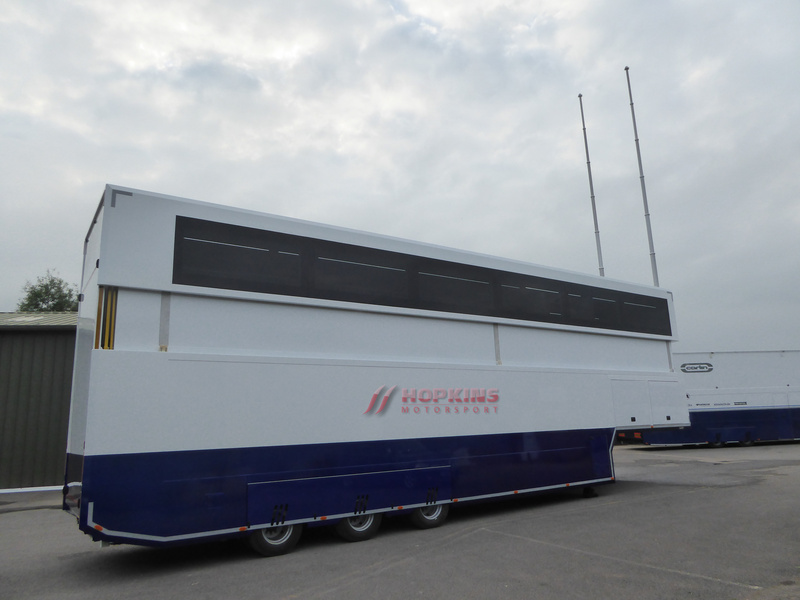 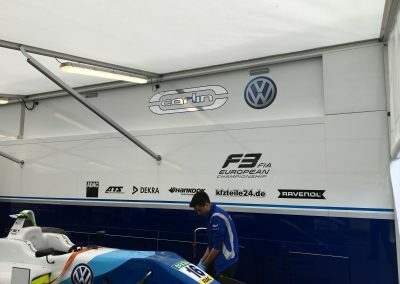 Workshop: The workshop area has a fixed height of 2mtrs, it will carry 2 Formula cars, at th circuit the rear section converts to a drivers area, during transit the rear benchs also fold up to maximise storage possibilities. 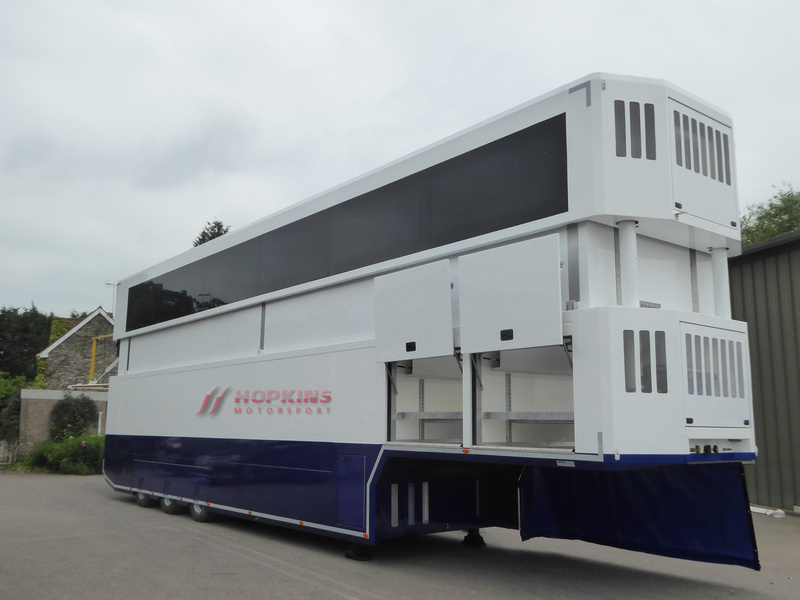 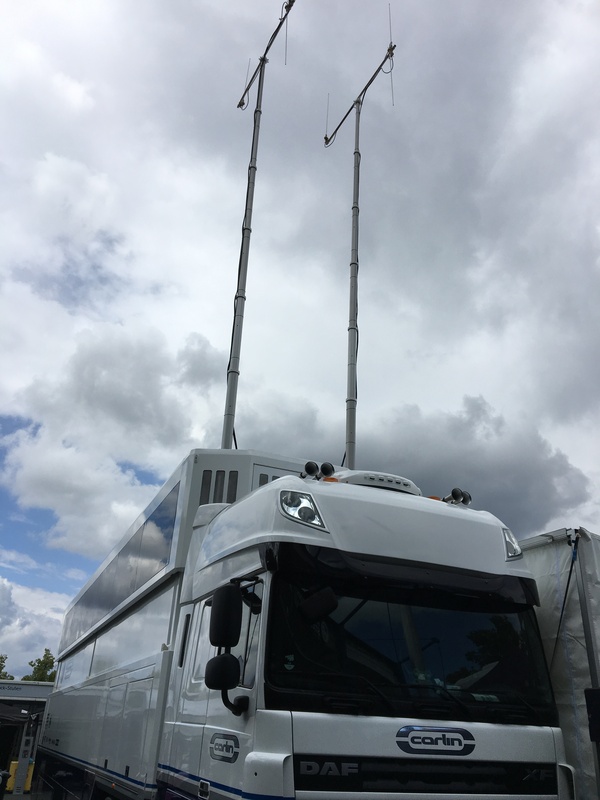 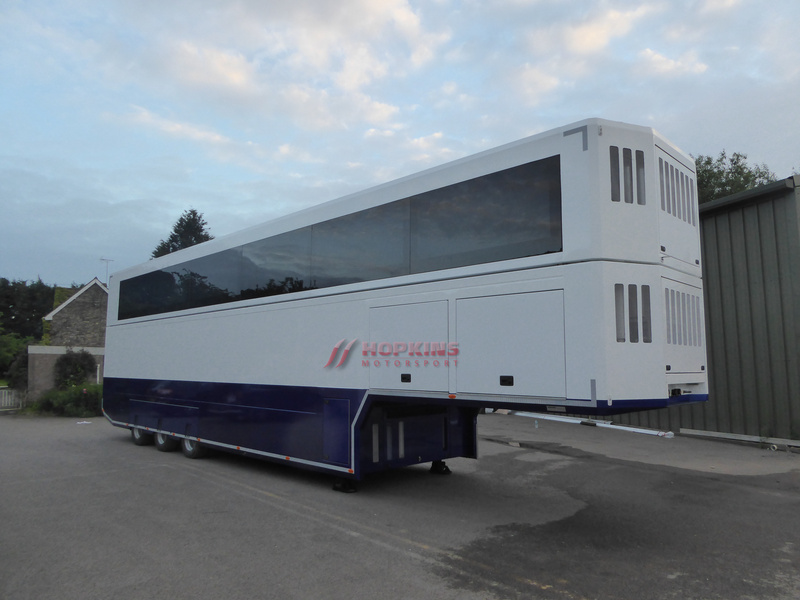 Top Deck: The top deck has a 1300mm height when travelling that will allow for the storage of 2 cars or flight cases and pit equipment to be transported. 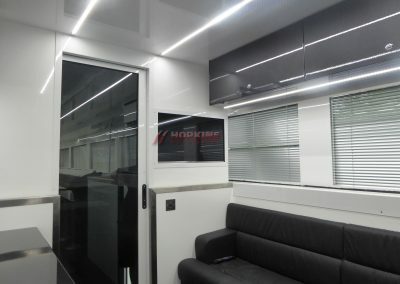 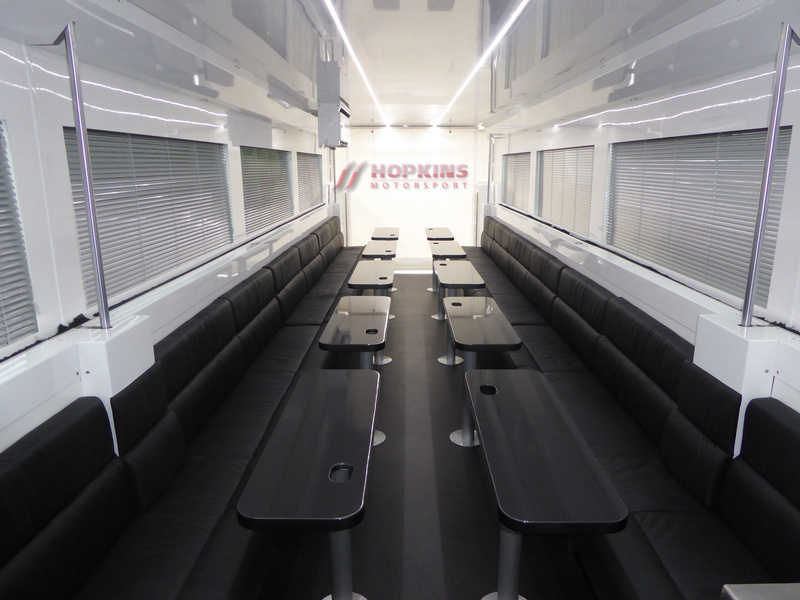 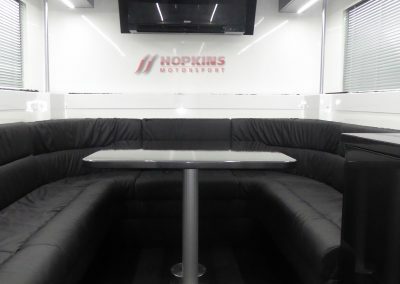 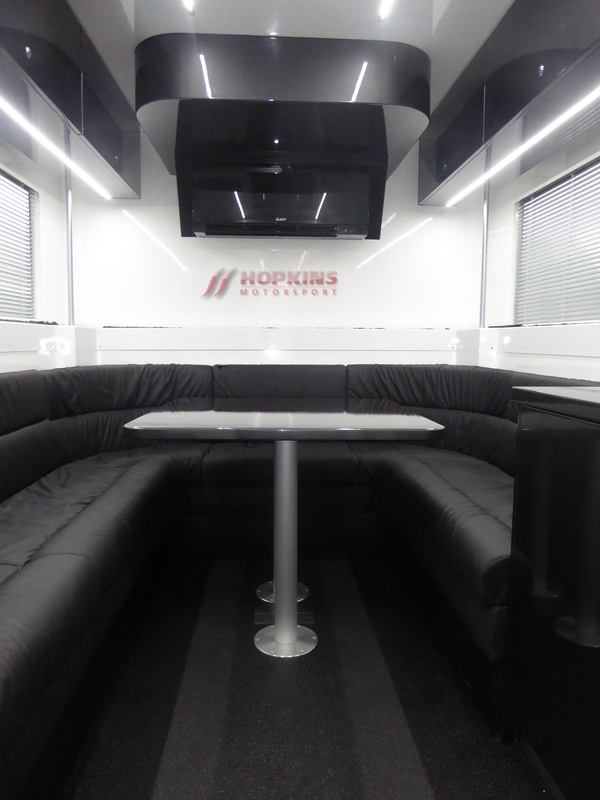 In circuit configuration it forms an engineers office for 8 engineers and six drivers, the seats all travel in a folded up position and simply fold down at the circuit to minimise set up time, the area is also fitted with circuit data TV’s and satellite TV, remote printers, air conditioning.